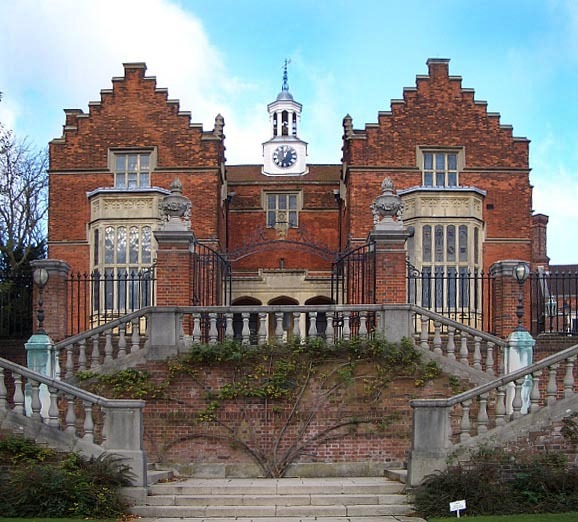 Inside this original Harrow School building is the old Fourth Form. Here the headmaster would have been enthroned at one end of the form while the usher would have sat in an armchair at the other. The most interesting part of this room now is the black panelling, on which many famous Old Harrovians, including Sheridan and Byron, etched their names (Stevenson 70). On an outside wall is a plaque to the future Lord Shaftesbury, commemorating the time in his schooldays when he encountered a pauper's drunken funeral and burned with "shame and indignation" at the sight.